Whenever Nayra comes to the UK I always try to show her some sites. Its good for me as most of the time its all new to me too! 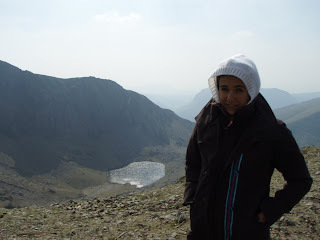 This time as we were in Wales we heading to Snowdon, and the highest mountain in England and Wales. With Nayra just recovered from a broken foot we had to take the train, and it was a fun ride up through the valleys to almost the top. Repairs to the top station meant we didn’t quite get to the summit, but it was still great. With glorious sunshine to add it the experience it was a really nice day.